Hejsminde at Kolding offers the rich selection of fine cottages. Cottages in Hejsminde may be holiday flats, former farms and cottages with private pier to the sea. With a cottage in Hejsminde you find yourselves with the beautiful nature and historic sights of Southern Jutland with plenty of excursion opportunities such as Skamlingsbanken and the charming borough of Kolding. A cottage in Hejsminde is something you will want to come back to. 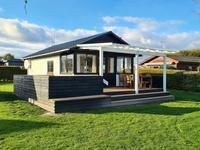 See the holiday homes in Hejlsminde on a map - click on the map!